Unfortunately, many people these days have to tighten their belts to make ends meet. It's tough to think about gift giving when so much of your money is put toward paying bills. But that doesn't mean you should forget about good ol' dad on Father's Day (June 21). Consider making a picture frame that's not only unique looking, but surprisingly inexpensive as well. Pay a visit to your local thrift store and purchase a leather belt and frame. The belt can be any color, however, the width of it should be approximately the same size as the frame's surface. Measure the sides of your frame, corner to corner. Buckle the belt and cut it into strips that are the same length as the sides of the frame. Position the strips over the frame and miter the corners (45 degree cut) for a clean look. Adhere the pieces of the belt to the surface using a strong adhesive like Beacon's 3-in-1 Advanced Craft Glue. After the glue dries, it's ready for your photo. Select one that's personal and special to both of you. 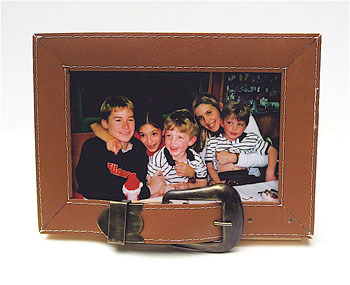 The frame will look like it was an expensive purchase, and your picture will be a priceless keepsake. I absolutely love it when I can create something cool out of an object that would normally get thrown away. Case in point... CD discs. These little silver platters offer the perfect surface for creating decorative and meaningful wall clocks. 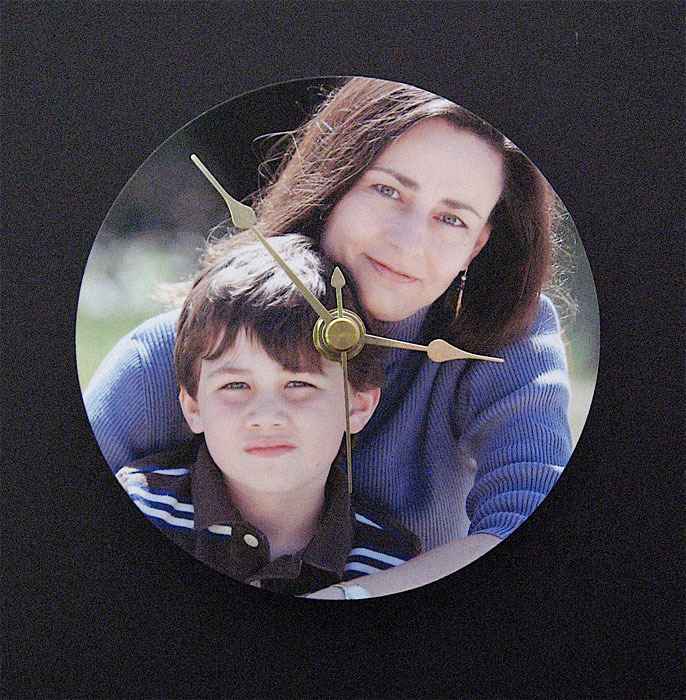 All you need is a CD, a photograph, and a clock mechanism that's available at almost any bargain store. When you print out your picture make sure it's about the same size as the disc, if not a little larger. 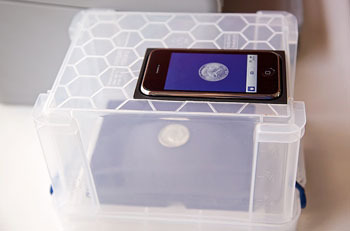 Since a CD is about 4.5" in diameter, a 5" x 7" print will usually do the trick. 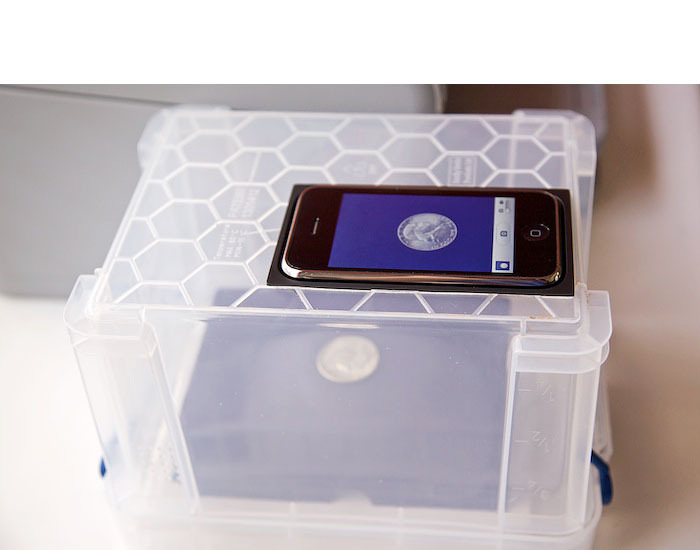 Adhere your image to the CD using a spray adhesive. Trim off the excess paper from the edges and poke a hole in the center. To turn it into a timepiece, you will need to insert a clock mechanism through the hole and attach it to the back using an industrial strength glue. Carefully remove the clock arms for this phase of the project. You'll reattach them in good time. Clock mechanisms are available at most craft stores, or you can always salvage one from an old wall clock (that isn't as handsome as your work). Once the mechanism is adhered to the CD, reattach the clock arms and second hand. Mount on the wall, and you have a timepiece that's pretty as a picture. Or to be precise, pretty as one of your pictures. When I started shooting HD video with the Canon 5D Mark II, and now the Canon Digital Rebel T1i, I wanted a rig for recording on the go so I didn't always have to use a tripod. 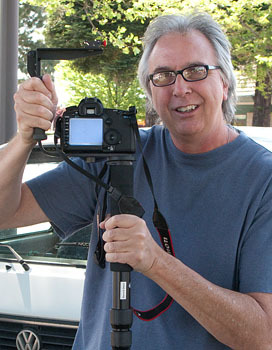 I investigated commercial steadicams, such as the Redrock micro, but spending $1,000 wasn't in my budget. I also looked into "do it yourself" rigs, such as the $14 Video Camera Stabilizer, but I needed something that looked a bit more professional for client shootings. So, I guess I needed a semi-DIY steadicam: one that I could afford, but also had some style. 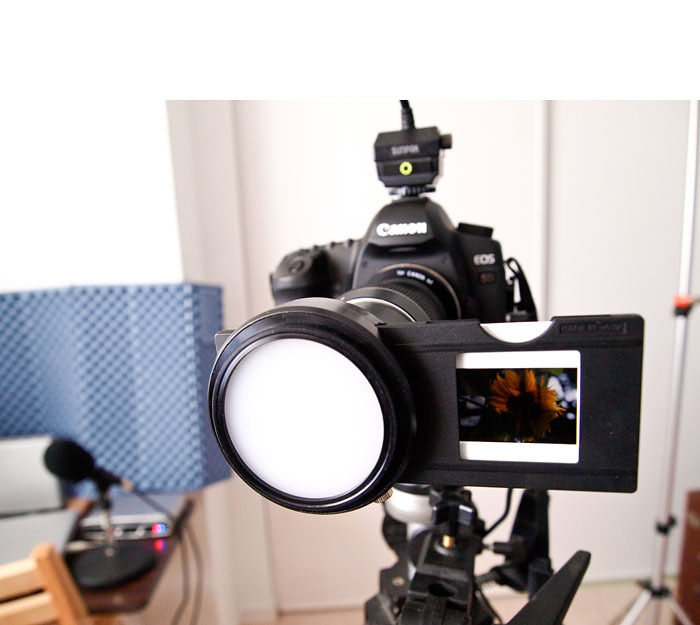 Optical stabilization is very important when you're in video mode. 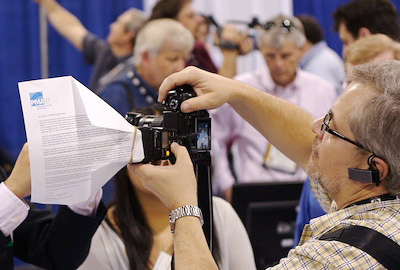 The difference between recording with stabilized lenses and non-stabilized is dramatic. But when you're shooting "walk and talks," optical stabilization isn't enough. So I hacked together a stedicam that uses just two components: 1) Stroboframe Quick Flip 350 Flash Bracket ($48), and (2) a $30 monopod, such as the Velbon RUP-40 4-Section Monopod. Total outlay is less than $80, that is, if you don't already have these components laying around the house right now. Assembly only takes a minute. Screw the collapsed monopod into the end threaded hole on the flash bracket, attach your 5D Mark II, D90, Rebel 500D, etc., and start recording. 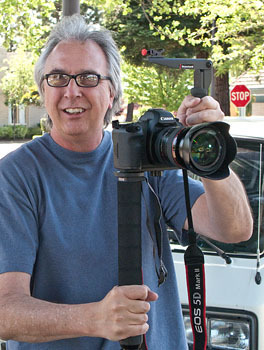 I hold the grip of the flash bracket in my left hand and monpod grip in my right. This positioning provides the balance I need to record more evenly, even as I walk. You still need a stabilized lens, but this system works great. For shots where you don't have to walk, try putting the camera strap around your neck and resting the collapsed monopod on your belt. Hold the steadicam so the neckstrap is taunt. It's amazingly solid. When you're finished shooting video, disassemble the rig and you have a monopod, flash bracket, and hopefully, some great video footage. 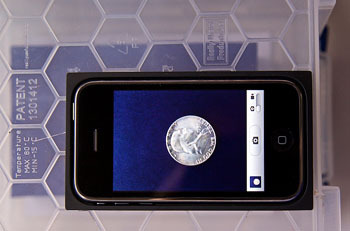 Virtual camera club member Sarah Kim discovered the CCRRFDv2 by Photophool while browsing flickr. 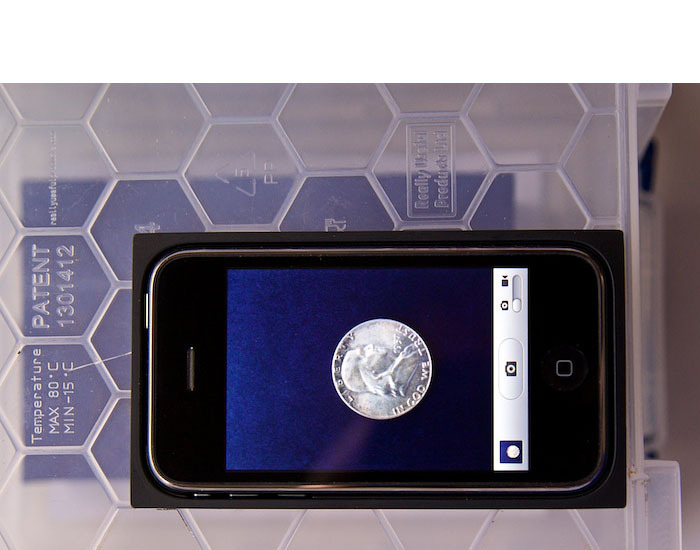 This device helps you evenly illuminate subjects when using macro mode with a Canon S2. 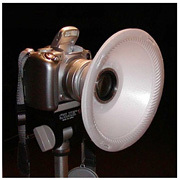 The DIY device consists of three plastic foam cereal bowls stapled together with holes cut in the bottom to slip-fit on the lens barrel, and it delivers shadowless lighting in supermacro mode. Photophool has updated the instructions for building this handy device. You might want to take a look at what's going on here, and think about ways that you could apply the technique to your camera and photography. If you get some cool shots, or discover a clever variation on this theme, be sure to drop me a line. Sarah has already put her diffuser to work capturing this close-up of her husband's hand while working. Thanks for the tip Sarah! Photo of the diffuser by Photophool, who has lots of other interesting stuff.